Since I was a little girl I loved fruit in all shapes, tastes and sizes. 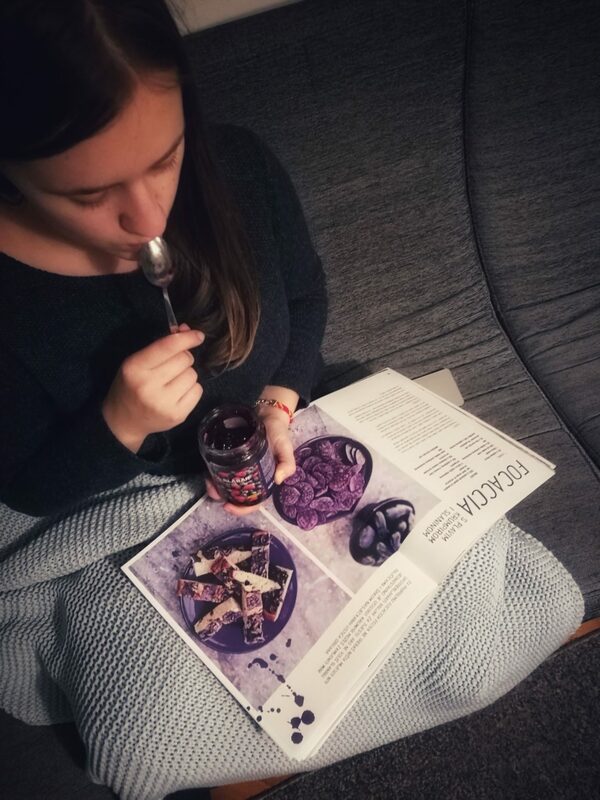 Since the autumn came and brought an abundance of fruit I decided to eat all the fruit there is and stuff it into every recipe. Let’s call it vitamin loading for the winter. The season of cooking jam and compotes is here and I managed to make something in between and it ended up as a breakfast treat. It’s vegan, it’s nourishing and super tasty. 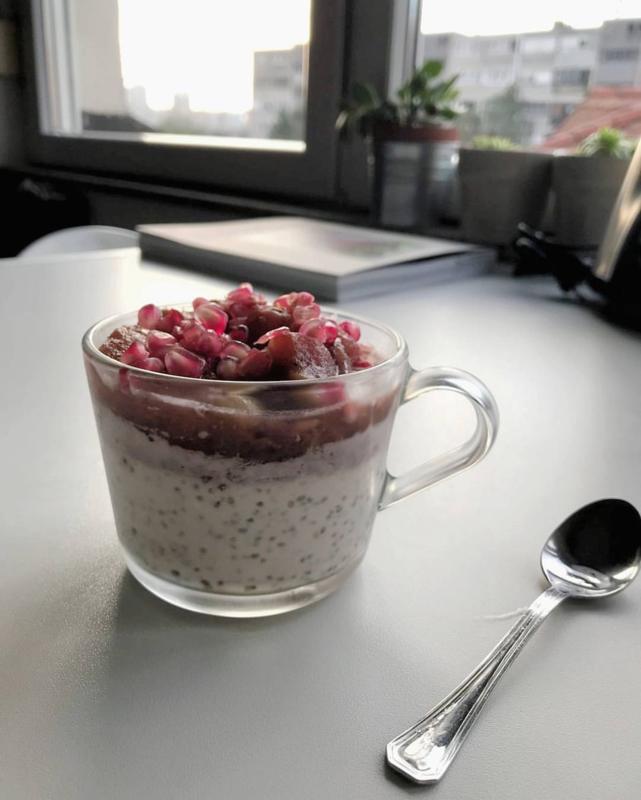 Pour 1 tblspoon of chia seeds in a small bowl and pour over 100 ml of cold coconut milk. Add 1 teaspoon of date syrup and stir well. Put in the fridge for an hour. Peel, core and cut to quarters apples and pears. Put into a small saucepan, add the juice of three clementines, 1 super full tablespoon of jam, vanilla, cinnamon, bay leaf and water. Cover with a lid and cook for 45 minutes on a medium low heat with occasional stirring. Pour the fruit jamote (jam+compote=jamote) over the chilled chia mixture. Decorate with pomegranate seeds, chopped up hazelnuts or mint leaves.